There is a lot happening in the old-growth forest reserves that the Klamath National Forest is planning to clear cut following the 2017 Abney Fire. We spent two days out in the backcountry to ground-truth units proposed for post fire salvage logging, the birds were singing, the bugs were buzzing, the wildflowers were blooming, deer were foraging, morels were shooting up, madrone trees were sprouting, it’s clearly visible that natural regeneration has already begun! Biologists have found the best way to protect Northern Spotted Owls after a fire is to retain legacy trees and large diameter standing snags. 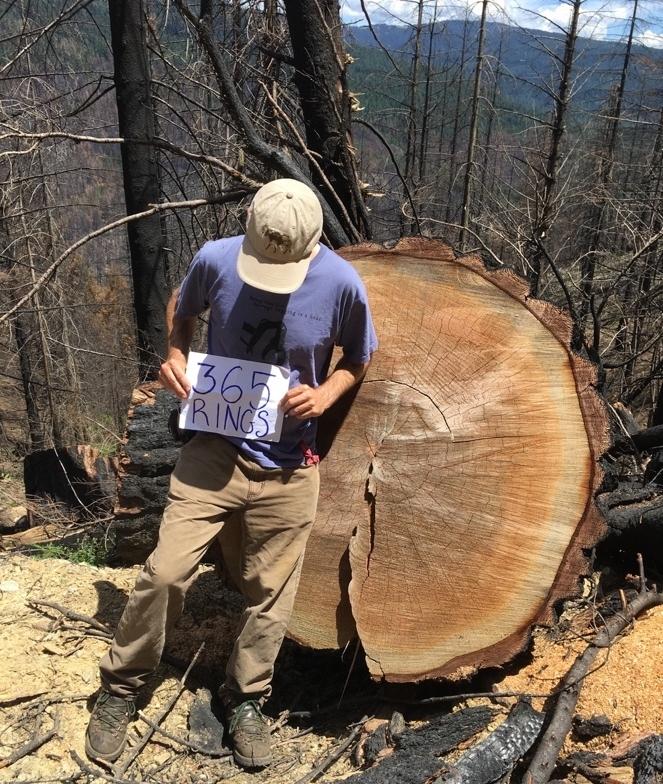 Yet, in the Seiad Horse Timber Sale and recent salvage logging projects on the Klamath National Forest, timber planners have targeted large diameter trees and snags in forests designated for wildlife protection. The Klamath National Forest intends to remove 200-400 year-old trees and snags from the landscape to make room for dense timber plantations that offer sparse value to the forest ecology. Klamath National Forest timber planners claim that they have learned from the mistakes of past timber plantation establishment, yet they are still proposing to slick off post fire forests on steep slopes in the backcountry in supposedly protected old-growth wildlife reserves. The ecological values of the remaining unlogged portions of the Siskiyou Crest are exemplary. The wildlife habitat connectivity and geological diversity of the Crest are renowned. The peaks and forests of the Siskiyou Crest extend some 90 miles from the Cascade Mountains toward the coast, dividing the Rogue watershed in the north from the Klamath watershed in the south. The area proposed for logging provides indispensable wildlife habitat connectivity between the Condrey Mountain and Kanagroo Roadless Areas. Logging units are planned within a roadless area above the west fork of Horse Creek. The proposed clearcuts and logging road construction would be increase fire hazard and destroy old growth forests. These public lands are federally-owned, with management responsibility undertaken by the Klamath, Rogue River-Siskiyou and Six Rivers National Forests and the Medford District BLM. Not one of the federal agencies that manage the Siskiyou Crest is proposing backcountry old-growth clearcutting except the Klamath National Forest. KS Wild, along with our allies at the Environmental Protection Information Center, the Klamath Forest Alliance, and the Western Environmental Law Center are preparing to challenge the illegal backcountry old-growth grab with all we’ve got. Stand with us for the future of your public lands!